Northern Voice Update - We're Speaking! and Win a Free Ticket! Just a quick update on Northern Voice 2009 that I blogged about last week. First, Rose and I are speaking! W00t! This is the first time that we've co-presented at a conference. Our topic is "Social Media Mores and the Modern Couple" - the idea for it originated in the same idea pot as this post along with Rosemary saying that "Blogging for Couples" would be a cool topic. It's likely our session is morphing into a panel that will be moderated by the smart and savvy Julie Szabo of Capulet Communications - so stay tuned; I plan on asking all of you for some of your relationship advice about social media. Oh, for those of you who haven't gotten your tickets yet, well, you may be out of luck. The Saturday of Northern Voice is sold out; there are a still a few tickets left for the Friday. You can also send an email to be put on a waitlist. BUT if you're a neoLuddite, you might be in luck! Ruth Seeley of No Spin PR is holdinga social media neoLuddite contest for a free ticket to Northern Voice. She's looking for the best (worst?) neoLuddite who wants to start to *get* social media. She has the full deets over on her blog. Contest closes January 31, 2009. Two events are coming up - one that I wish I was going to and one that I am definitely going to. The one I wish I were attending is Blogwell put on by Gaspedal and the Blog Council. It's a 1/2 day of case studies from 8 cool companies using blogs and other social media to connect with customers. The 8 companies are Walmart, The Home Depot, Allstate, H&R Block, Mayo Clinic, Sharpie, Procter and Gamble, and the U.S. Coast Guard. It's in Chicago on January 22. I'm a big fan of the Blog Council (disclosure: one of my clients, Petro-Canada, is a member) and the work they do connecting client-side bloggers as well as advocating blogging disclosure standards. And if you can't make it to Chicago on the 22nd (like me :( ), check out the recently posted social media case study from Walmart on their use of social media to connect with their customers or some of the many other case studies posted on their blog. The second event is Northern Voice, the must-attend personal blogging and social media conference in Vancouver. NV always sells out so make sure you register ASAP! It's being held out at UBC on Feb 20 and 21 - and the price is definitely right - only $60 for two days. Always informative, lots of fun and a great way to connect w/ other socmed folks in the pacific northwest. Hope to see you there! Sidenote: this post was published using a new-to-me blogging editor on the Mac, Blogo, from Brainjuice. Am going to try it for a while to see if it can fill the void of Windows Live Writer. Pssst, buddy, want to win a Fujifilm camera? Get on the F list! This is one of the reasons I love being a blogger. Because cool companies give me cool technology to give away to you. So Fujifilm Canada has created the "F list" - a fun program to get the word out about their digital cameras along with getting visitors to share stories about the Best and Worst gifts they've received and some other holiday themed activities. Plus they're giving away some Fujifilm digital cameras! First, the F list Scavenger Hunt! The F list team has hidden two Fujifilm S100fs (valued at over $700) in both Vancouver and Toronto. One of them has been found in Toronto, but neither have been found in Vancouver! Get on it! I'm pretty sure I know where location #2 in Vancouver is - see pics below. Race ya?! Second, the Best Gift/Worst Gift photo contests. Have you had an awesome gift? What about a less than awesome (some might say, craptastic) gift? Here's your chance to share your joy or, uh, your un-joy. You can win a Fujifilm S2000HD (valued at $300) for submitting a photo and getting your friends to vote. There are winners each week. Weekly contests end on Saturdays. Get the deets at the links below. Third, instant win! Yeah, I know. Sneaky, eh? Here's the secret link. Shhh. It's just between you and me. The link takes you to a page where you register for the F list. Copy the secret code on the page. You then paste it into a box on the reg page. It should tell you if you've won or not. The instant win is for a Fujifilm J100. Finally .. and you've waited long enough ... you can win a Fujifilm S2000HD from me! All you have to do is leave a comment telling me your favourite Christmas carol. I'll give you one entry into my draw. If you're really keen ... upload a video somewhere of you singing your favourite Christmas carol (just a line or two, not the whole thing; and if you're camera shy, hide behind a poinsettia). Work the word "Fujifilm" or "digital camera" in there too. Then come back here and post the link. I'll give you 10 entries into my random draw. You have to leave a comment and/or a video link by NOON PST on Dec 23rd. I'll do a random draw sometime after that. I'll post the winner here by Christmas eve. Winner Update: Well, exploiting your children (and a little extra effort) goes a long way. DaniGirl's name was pulled out of the jar last night. Congrats to her! And many thanks to all of you for playing and to Fujifilm Canada for the prize. I learned about a number of new holiday songs. I hope you did too. In fact, I even made a playlist (many thanks to @digitaljoy who told be about awesome Grooveshark!) It's below. It, amazingly, has every song that was mentioned. I am particularly delighted by the Italian Christmas Donkey song. 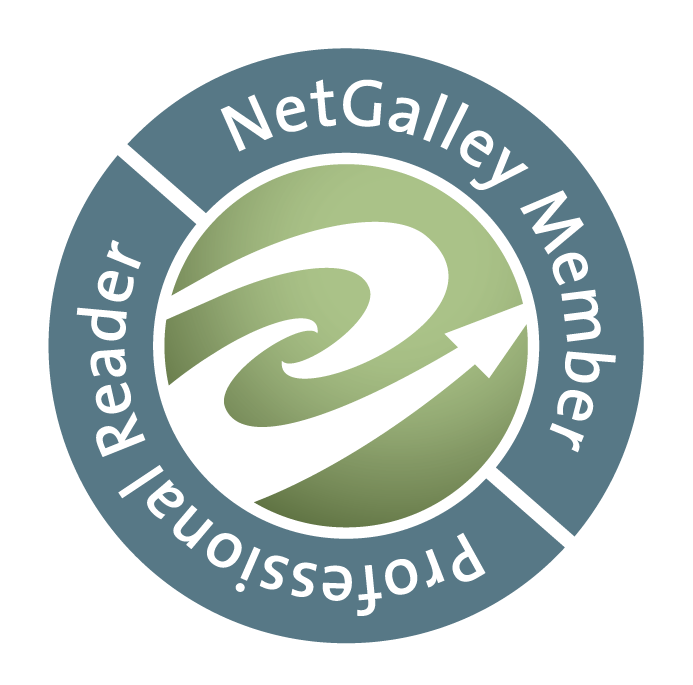 Disclaimers: Eligibility - if you read my blog, you're eligible. If you live outside of Canada and happen to win, we'll figure out how to get you the prize. By entering you agree to the following: My decision is final. If my childhood friend Binky happens to win the draw, you can't complain. You agree that neither I nor Fujifilm are responsible if your comment doesn't get posted or if your video disappears or for any other computer glitch associated with this contest. You also acknowledge that if you win, you will not receive the camera in time for the holidays so you won't plan on giving it to someone. Also, if you do win, you agree that I can post your name here. And finally, you agree that if you DON'T win and you decide to FREAK OUT about it, Santa WILL put you on the Naughty List. Permanently. So, that's it! Try 'em all to win! But mainly mine b/c I think it will be AWESOME to see a bunch of videos from my friends singing their favourite Christmas carol!! 65% of gifts men give women are returned, never used, or stored in some obscure random location never to be seen again. European research suggests that we give the worst presents to the people we love the most mistakenly believing our tastes are theirs. Disclosure (for folks who think that product bloggers have hidden agendas): I am not being paid to post about this. I happen to know the folks who are working with Fujifilm on this promo and they said "Hey, want to give away a camera on your blog?" and I said "Yes. Yes I do!" Not everyone likes to write. Or, frankly, to read. Luckily, on the internet, we can use a combination of multimedia elements to tell a story, our story. I wanted to share how a client of mine, BuildDirect, is starting to use video, in combination with their blogging, to tell their story. BuildDirect sells high-quality building materials direct to contractors and consumers via the Internet. They have been blogging for quite a while now - from a CEO blog to expert blogs about a number of topics (bamboo, wood flooring, stone tiles, etc.). Now, they're smart and haven't been blogging just about their stuff; for example, Rob Jones [twitter], who blogs about bamboo (and who also has a wicked personal blog about music and culture) finds great examples of bamboo (a green, sustainable flooring material) in use beyond flooring or heck, even beyond building materials - bamboo underwear, anyone? So far, this has been a pretty good blogging strategy - curating and annotating with personal expertise a collection of articles on topics related to your business. But BuildDirect (or any business really) has another resource that they could exploit - heavy internal expertise as well as access to places that most of us can't go. Here's something you may not know about me - I am an ardent fan of shows like Megastructures and Frontiers of Construction. So when we were talking about what the next step for BuildDirect might be in social media AND I found out they could go to the places where they quarry the travertine - well, I had visions of Travertine Dream coming to the Discovery Channel. Not surprising, perhaps, the Discovery Channel's production budget was a little out of BuildDirect's league. However, armed with a couple of Flip video cameras, BuildDirect has started to film their journeys to their manufacturers - first up, the travertine tile manufacturer in Turkey. And this is where the great storytelling comes in - by illustrating a descriptive blog post with snippets of educational video, BuildDirect now has a comprehensive piece on how travertine tile is made. So smart! And this kind of content can be used for customer education, sales team education, show-and-tell at school. Also, they can take beautiful, personal images (like the one of travertine above) that they can then use online and off - so much better than stock photography. So ... what aspects of your business can you make visible to your customers? Where do you have latent expertise that, armed with a camera, could become explict expertise and start to tell the awesome story of your business? Well, Interesting has taken off. There have been five since the inaugural one in London last summer. And the sixth Interesting will be happening in Vancouver on October 24. Brett MacFarlane initiated the idea and with a small team of enthusiasts is bringing it to life. I love the idea of Interesting. A collection of interesting people talking for a 20 minute or a 3 minute slot about something they are passionate about. I also like that it isn't a typical unconference. And I especially like the fact that it isn't free (even for speakers and organizers). It's $20 for 3+ hours of Interesting - which is a pretty darn good deal. There are still tickets available - so do yourself a favour and sign up for a small dose of Interesting! Recently, SavvyMom.ca [Sarah and Minnow's blog] (a client of mine) launched ShareSavvy.ca - a community where moms can share local resource recommendations. So, their favourite restaurants, kid-friendly stores or professionals. Moms can also ask questions and get answers/recommendations. I'm a fan for a few reasons. Personally, I think hyper-local is in. And these aren't just city-based recommendations, but neighbourhood-based recommendations. So, I can find a stroller-friendly coffeeshop in the Beaches in Toronto or in Kitslano in Vancouver. Secondly, SavvyShare.ca is a perfect resource for families who are traveling to cities they aren't familiar with. Want to know what you and your kids can do while you're visiting Edmonton - check it out on ShareSavvy.ca. Finally, it's not just for moms (shhh ...). I'm not a mom, but I found this awesome party spa service here in Vancouver. Just launched for Canadian Moms! Share your neighbourhood favs and trusted mom resources at ShareSavvy.ca http://is.gd/2xnQ. As you can imagine, it was met with some skepticism by the socmed folks on Twitter. Legitimately, the question was raised about whether or not anyone would use it. To date, I don't think anyone has; however, that, for me anyway, was not the only goal. It was a good writing exercise to get the summary of the launch and a link into 140 characters. And having it, as well as other multi-media chunks, has shaped how we think about the content we provide to the people we'd like to have write stories about us. And for those of you who are inclined to write a review or two of your favourite local resources ... there is a contest happening right now on ShareSavvy.ca. For every review you write, you receive an entry into a draw for either a Whirlpool Gold ® Free-Standing Range worth $1599 courtesy of Whirlpool® Home Appliances or $500 worth of groceries courtesy of President’s Choice. You can sign up over at ShareSavvy.ca. One of the first major excursions I took when I moved to Vancouver was an epic adventure to Metropolis at Metrotown - a gi-hugic shopping centre out in Burnaby. Rose and I had a number of things we needed to pick up and figured it would be easier to do it all at a mall rather than a number of little shops. Plus, we were new to Vancouver and it was one of the first results that came up in Google as we searched for shopping. Well, it's two years later and I've decided to soften my position. Carla Shore, founder of C-Shore Communications here in Vancouver, has let me know about a program at Metropolis at Metrotown: charitable donations via the Metropolis Express. 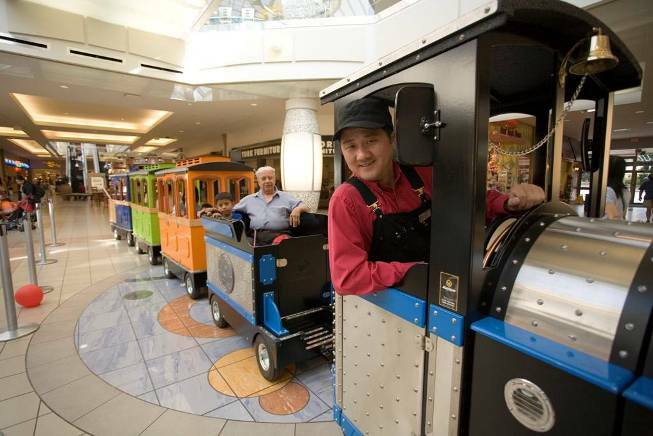 The Metropolis Express is the trackless train that runs on the main floor of the mall. To ride the train, you can make a donation which go into a fund. Local charities can then apply for grants from the Metropolis Express fund. Each year, the fund distributes approximately $1 million to local charities. So, if you are a charity in Burnaby, New Westminster or East Vancouver and "demonstrate a unique contribution to community life", you may be eligible. Check out the details on the Metropolis website or download an application (pdf). I have been remiss in blogging about Bridging Media, a welcome addition to the social media/community-gathering scene here in Vancouver. As I saw at VIDFest last year (Vancouver International Digital Festival), there is an amazing array of talent across multiple digital platforms, but we don't always speak the same language. Bridging Media hopes to change that. >> Erica Hargreave is a creative producer. She creates concepts, writes, researches, and consults on educational, science and multi-platform projects with a number of other production companies. >> Cinci Csere is a marketing consultant who focuses her talent and energy on public relations, creating memorable events, and strategizing promotions for large and small organizations. You can find her at EAT Communications. >> Carol Sill has been involved in interactive digital media since the mid-90s. Her background includes international broadcast and non-theatric distribution, new media education and independent production. She currently assists new bloggers with editorial, research and multimedia support through Alphablogs. >> Monica Hamburg is a freelance writer and social media evangelist/consultant in Vancouver, Canada. Her investigations and observations on social media, and its relation to business and connecting, form the basis of her blog, Me Like the Interweb. She is a frequent contributor to the popular digital marketing magazine One Degree, as well as a former actor and wanna-be class clown who now uses her dry humour for speaking engagements and in her blog Your Dose of Lunacy. Kudos to Erica, Megan, Cinci, Monique, Carol and Monica! Bridging Media's first gathering is this Saturday, March 29. I believe you can still register. I'm delighted to have been asked to be a speaker and even more pleased that One Degree is a sponsor. Woot! 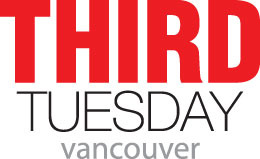 Third Tuesday is Coming to Vancouver! We've seen CaseCamp Vancouver. Our second BarCamp is coming up in just a couple of weeks. And now, the social media PR types are invading lotus land with Third Tuesdays. Joe Thornley is taking the ball and running with it. Tod Maffin, Darren Barefoot and Tanya Davis are in .. as am I, because, you know, I'm a joiner. Joe and Tod have both done write-ups. If you're interested, we're having an organizational meeting this coming Tuesday (First Tuesday, for those of you keeping track). Leave a comment on Joe's blog to get the dets.